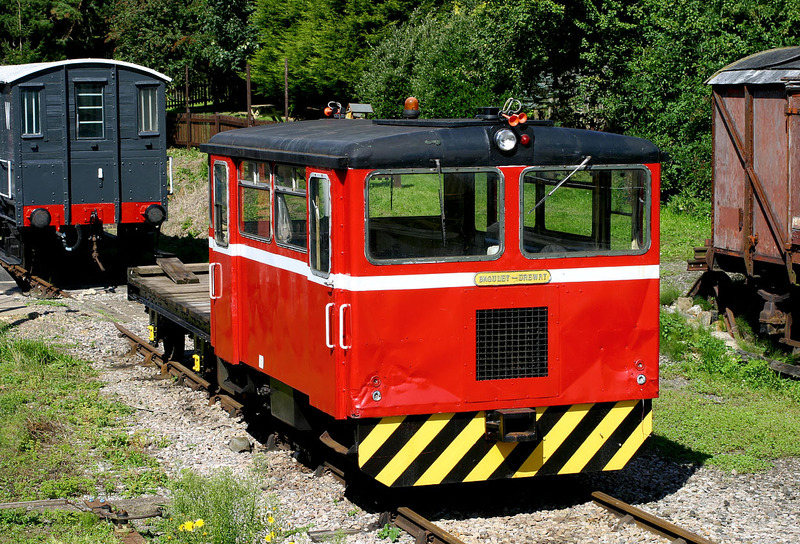 Looking very smart in its fairly recently applied coat of red paint, Baguley Drewry rail inspection car AD9127 basks in the sunshine at Winchcombe on the Gloucestershire Warwickshire Railway on 23 August 2008. These quaint petrol engined vehicles were used for general permanent way and engineers inspection use during the 1960s. This picture was taken from on board the 11:15 Cheltenham Racecourse to Toddington train.